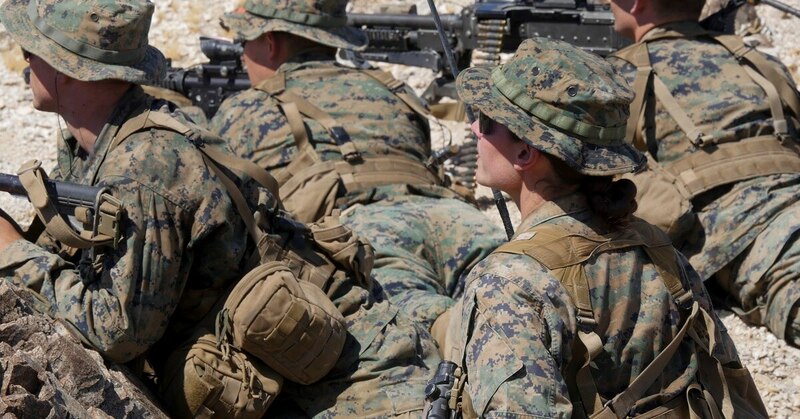 A female Marine infantry officer made history in September 2017 when she became the first woman to graduate from the Marine Corps' backbreaking Infantry Officer Course. Now, she’s the first and only female leading an infantry platoon ― 2nd Battalion, 4th Marines' Echo Company, currently in northern Australia, according to The New York Times. The Corps has gone to great lengths to keep the identity of the Marine private. But now, her name has been released. First Lt. Marina A. Hierl is one of four platoon commanders of Echo Company, according to the Times. The woman is expected to graduate on Sept. 25. The Times joined Hierl and Echo Company in Australia to give us an inside look at their training. Only one other woman has graduated IOC since Hierl. The second female graduated June 23 and was slated to attend intelligence school. Raised in Pennsylvania where she worked on a horse farm, Hierl told the Times she decided to join the Corps after she was steered into college at University of Southern California. Hierl told the Times she vividly remembers in 2013 when it was announced that women could vie for combat roles. Andrea Scott is editor of Marine Corps Times. On Twitter: _andreascott.